Miguel “Motita” Fuentes, 25, of Boca Del Rio, San Pedro Town, is lucky to be alive after he was shot multiple times in San Pedro. He is now recovering at the Karl Heusner Memorial Hospital, and is in a serious but stable condition. 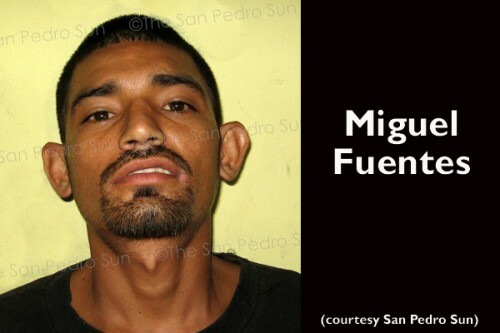 According to police, Fuentes was walking on the beach in the San Pedrito area of San Pedro with two friends at about 5:00 Sunday evening, when five men approached them and one of them fired at Fuentes and his friends, hitting Fuentes in the hand and in the side and back. The three friends scrambled for cover and went into the sea to escape the gunfire, and the five men then left the area. Fuentes and his friends were rescued by a boat that was travelling nearby, which took them to the Texaco Pier, from where police took Fuentes to the San Pedro Polyclinic, where he was stabilized before being taken to the KHMH for further treatment. Fuentes told police that they were fired upon by the men for no known reason. So far, no one has been arrested and no arrest has yet been made.